First things first. 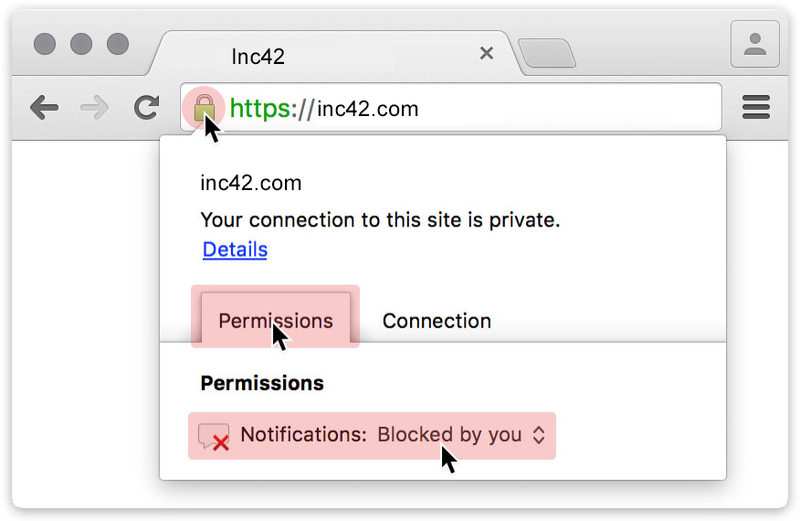 Inc42 is now four years old. Moving in tandem with the constantly evolving media industry, we’ve adapted and evolved from being an amateur blog to the leading Indian digital media publication that delivers fact-based, data-driven journalism on the Indian startup ecosystem, touching the lives of more than 10 Mn people every single month. This meant that our website needed to evolve as well, to encompass all the products that we’ve built over the last four years for the Indian startup ecosystem — from our editorial stories and videos to our interactive graphs and industry reports, not to mention all the exciting new things in the pipeline. My co-founder Utkarsh Agarwal led the exercise of our website to revamp and, after weeks of deliberation and multiple iterations, we finally came up with something that solves these three problems. The result is what you’re looking at. This is the first version of our new website and over the coming weeks, it will evolve further. Let me give you a few highlights and tell you how this new design will enhance your experience. Accessibility: Our menu has evolved considerably and will now enable you to access all our products while showing you the latest stories published across various formats, relating to sectors/industries across the board. Discoverability: Our next improvement comes in the form of ‘search’. You’ll find a search icon at the top of every page and it is the fastest way to find the most relevant content for yourself. Try it and you’ll know what we’re talking about. A faster and clutter-free experience: If you’re pressed for time, we’ve introduced a ‘Summary’ feature for you that enables you to read the important highlights of a story without having to read the entire story. Moreover, you’ll find that the reading experience on mobile devices is now a lot easier on the eyes and easier to navigate as well. Even the advertisements are a lot more subtle, yet impactful, and not in your face. If you have any feedback about the design, do share it with us. Now, onto other important things. When we launched Inc42 four years ago, our mission was to be the guiding light for the then-nascent Indian startup ecosystem and be the cheerleader for as many startups and entrepreneurs as possible. And the never-say-never attitude of our youth made us believe this mission was possible. Now, more than four years into our making, after having published more than 13,000 stories, we believe we’ve taken steps in the right direction, though we’re still a long way from achieving our mission. As we work tirelessly to grow this startup ecosystem and help entrepreneurs succeed, we’ve made some minor accomplishments along the way. Not meaning to toot our own horn, but we’d love to share the joy of our successes with you all. We, at Inc42, want to solve problems facing Indian startups and even preempt future questions. How can we nurture the Indian startup ecosystem further? How can we make it the most vibrant ecosystem in the world? How can we reach the farthest corner of the country and help the entrepreneur sitting in the remotest village of India? To do this, we need to grow faster and innovate in ways that support our mission. In this age of information overload, a digital media company can’t just be in the business of reporting news. It has to evolve and bring something ‘more’ to the table. Last year, we launched our flagship conference ‘The Junction’, held in Jaipur, Rajasthan, which was a new way to bring 300 investors, entrepreneurs, and influencers together under one roof for three days. Since then, we’ve been in a constant introspection mode on what new offerings can we bring to our readers while supporting our mission. This led us to launch Inc42 BrandLabs, the brand solutions arm of Inc42, this year. This move helped us become profitable and that’s how we intend to be from here on. We have the biggest ambitions, but if we can’t grow organically without spending prized investor money, it’s unlikely we’ll be able to achieve anything. Through our trials and tribulations, learnings and experiences, we’ve grown from a team of three founders to more than 25, and we’re now collectively putting our minds together to come up with new products and projects that you’ll get to see over the next few months. The website remodelling was the first of these projects and there are many more to come. I hope you’ll stick with us on this journey as we try to grow the Indian startup ecosystem and help make it the biggest, most impactful startup ecosystem in the world! As always, I’m keen to hear your views. Do let me know what you think in the comments section below.